Here at Lawrence Walsh we believe your bedroom is the most personal space in your home, because of this we take great care in designing and placing the correct furniture in our customers spaces. 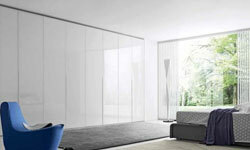 We specialise in providing an extensive range of top quality modern and contemporary furniture and are continuously developing our ranges to always keep our furniture current. We are a family company rooted in traditional values, with an aim of creating well designed contemporary furniture, delivering expert advice and skilfully crafting these pieces to fit your home. With our extensive range of modern bedroom furniture there is almost certainly something that will complement your personal taste. 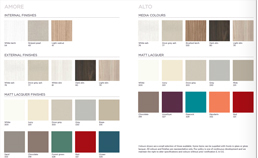 We offer a wide variety of finishes ranging from foil wrapped, eco-woods, matt lacquers, gloss and glass to match the style of your home and aesthetic you are trying to achieve. 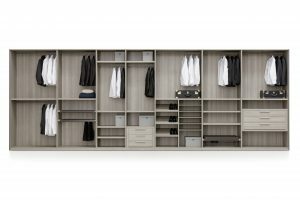 We keep our wardrobes relevant by offering many different space saving solutions; full carcass sliding, hinged and bi-fold doors as well as some bespoke solutions cleverly designed to fit your home. 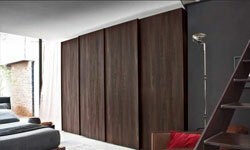 We also offer chests, dressing tables and accessories to match our wardrobes and complete your bedroom. It is possible to either mix textures to get a more individual result, or choose one of our plain satin lacquered doors for a sleek, sophisticated finish. 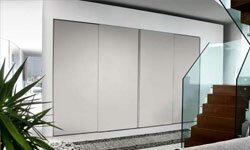 Please browse our beautiful and dynamic range of contemporary wardrobes that promise to give your home the timeless elegance or quirky touch you are after.